This is a compensated campaign in collaboration with LUBRIDERM and Latina Bloggers Connect. In our house body lotion is a daily topic. As many of you know The Phi has been dealing with severe eczema since birth. This battle is real and it's daily. There are many nights that have tears and a lot of stress and frustration on my part. It feels like we have tried almost every kind of lotion under the sun. Some have made her skin a little better, some made it worse and some did nothing at all. 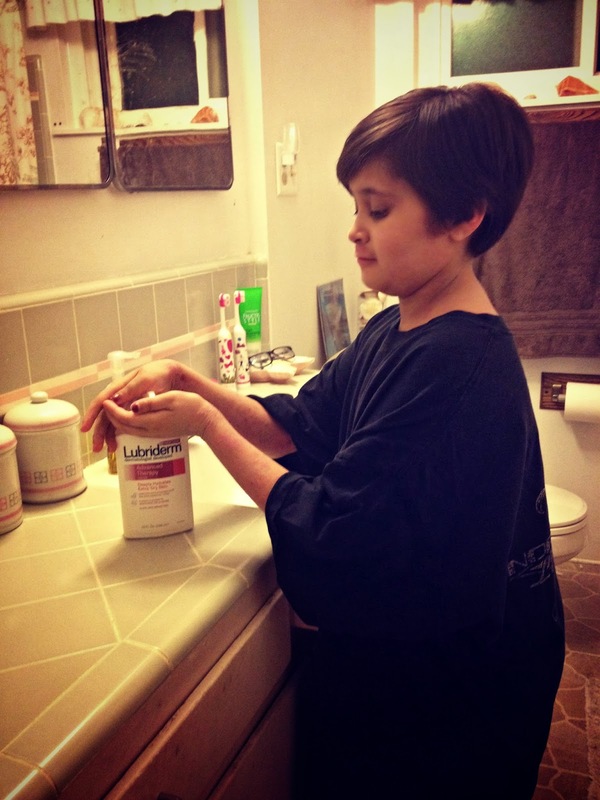 Lubriderm has always been our go to lotion for new tattoo care. So when sent me some of their products to try out I was excited. I was especially excited to see these two products in the box. The Advanced Therapy is just what my daughter needs. As if her eczema wasn't enough, we live in the middle of desert. So even for normal skin types the winters and summers always equal dry skin. The Advanced Therapy lotion is made for extra-dry skin and is filled with healing vitamins like B5 and E. It goes on non-greasy! I can't tell you how many articles of clothing have been ruined because of greasy lotions. It feels like we have tried every kind of lotion under the sun. 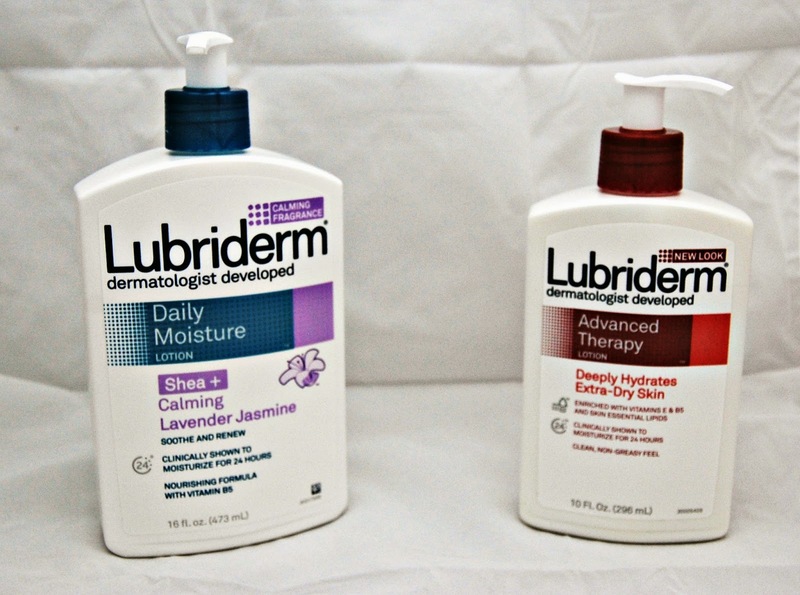 Lubriderm's Advanced Therapy does two important things. It soaks into your skin quickly and keeps your skin hydrated all day. I was also excited to trying out the Daily Moisture: Shea + Calming Lavender Jasmine. My days are hectic. With my j-o-b, homeschooling, after work meetings, dinner and everything else I can manage to fit into one day I need all the calming possible. This lotion has a soft and subtle scent that helps to start and end my day with a little calmness. Like the Advanced Therapy it is non-greasy and soaks into your skin quickly with no oily residue. Now there is a this one time of the day on our house that is my favorite. It ts the part of the day when the kids are showered, hair is freshly combed and the day is behind us. They are freshly lotioned and I can smell the light scent on them. We have got the most out of our day and it's time to recharge for tomorrow. 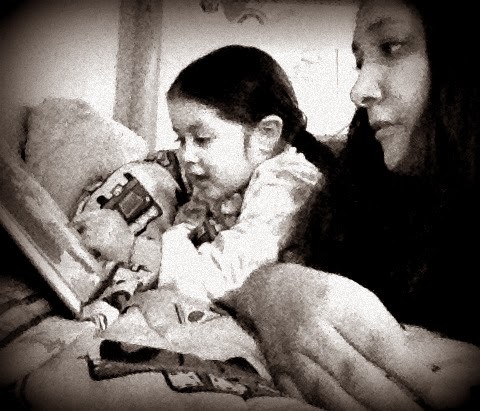 Those few minutes when I get to read a bedtime story to my girls is always a highlight. It is a time to stop everything and just enjoy a sweet story.